We all love the grass fed beef, the succulent pork, and salmon we eat our our keto diet. We eat like royalty and for that we are grateful. However, I missed the steak and barbecue sauces I used to enjoy before I went Ketogenic, and I was also having trouble always hitting my daily fat macro goal without snarfing down fat bombs. So we’ve been experimenting with a variety of low carb, high fat sauces over the last five years. 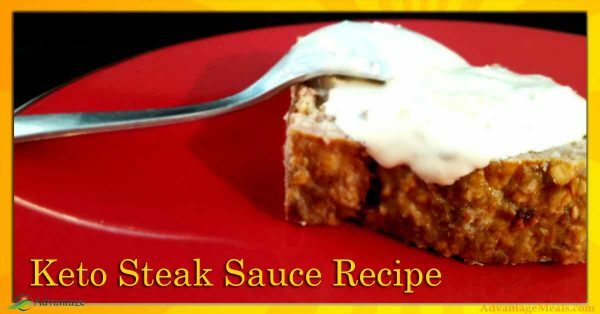 This keto steak sauce recipe is part of our keto fat boosters category of recipes. It’s one Stacey’s favorites as it’s packed with good fats, omega-3 and just darn tasty. I eat it with meat of any variety. Enjoy. When you need a steak sauce but don't want all the sugar, we've got a great ketogenic Fat Booster recipe that you'll love. Try this keto steak sauce on grilled strips or prime rib. It's also great on pork chops, hamburgers and grilled chicken. We even use it as a dip with vegetables and pork rinds! What ever you add this fat booster steak sauce to, you'll be helping yourself reach your keto fat macro target while adding unbelievable flavor. 1. Mince garlic and anchovies with capers. 2. Mix all ingredients. 3. Store in air-tight container. The Primal Kitchen Mayo that we use is available on Amazon. 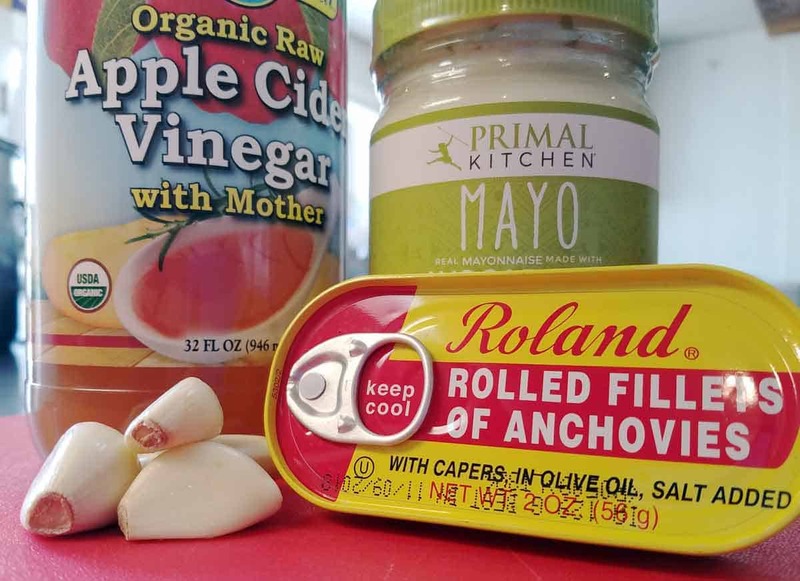 Here is an affiliate link to this great Keto Mayonnaise. When you purchase through an affiliate link, it helps support our work here with a small commission and doesn't increase your cost at all. Thank you for your support! Please join us on Facebook and "Ask Ang" your keto questions there. Angela has a masters in Holistic Nutrition and has been a Keto Coach and preparing Keto Meals for our local Magic Meals Home Delivery clients for over a decade. If you enjoyed this keto recipe, you might like these too!